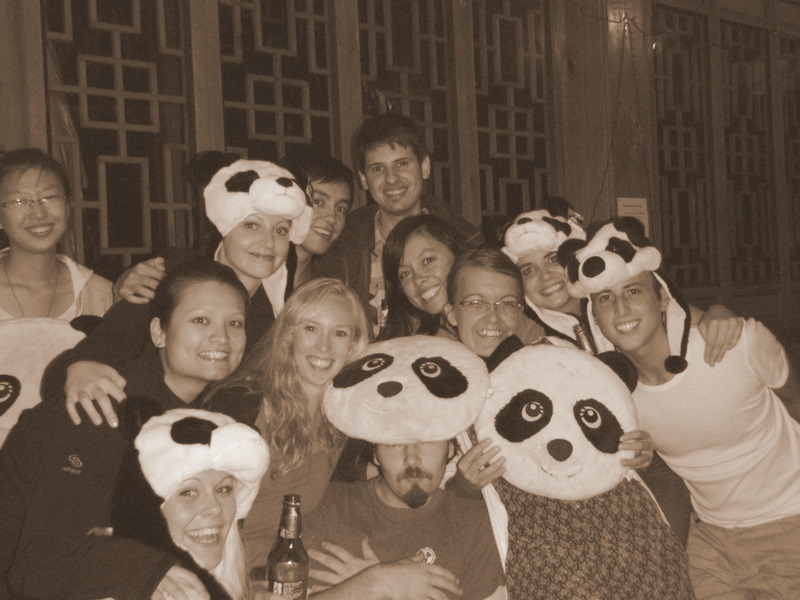 How to accept free food and learn from those around you – Final night at the Panda Base. I was having dinner with Anton who had become my newly appointed best buddy at the panda base. Usually what happens at feeding time is, I order what ever I want from the menu and pay for it because food wasn’t included in my deal(? ), and Anton gets served 2 dishes, normally a meat and a veggie. This Friday night was special. Having already received Anton’s 2 dishes, and the 2 that I had ordered, we were pleasantly surprised when a third dish of yummy beans landed on our table. Anton, nervously as we start swishing the beans around with our chopsticks in an obvious manner – ‘ Is she still watching us?’ referring to the waitress who seemed to realise her mistake. After dinner I convinced a shy Anton to come ‘hang with the younger crowd’ at the hostel bar. Sven is an exceptional young man, who has GREAT taste in music, and whose goal is to complete the Axis of Evil within the next 5 years – Iran, Iraq, North Korea, Cuba, Libya and Syria – all countries without diplomatic relations to the U.S.A.
1) Beer Pong – A game which I think involves hitting a ping pong ball in the direction of 7 beer cups then sculling the beer in which it lands? I may have this completely wrong..
2) Tourist are not allowed to enter North Korea unless they purchase a super expensive tour package, (eg; 10,000 yuan for 5 days), and that all the tour companies are owned by the North Korean government – Which means the money goes directly into Kim ll-sung’s pocket. 3) That everybody knows what blood type they are. Besides me, I had no idea. 4) And cleaning panda poo when hung-over is good for the soul.